Add big coffee shop taste to every small workplace with the Aroma. The Mars Drinks Flavia Aroma brewer is designed to fit almost anywhere in your workplace. Its wide range of drinks means people can easily enjoy cafe-style drinks they love. Even in small spaces, you can create new opportunities for your workplace to connect, refresh and recharge to stay productive throughout the workday. Interested in a free in-office trial? Let's get started! 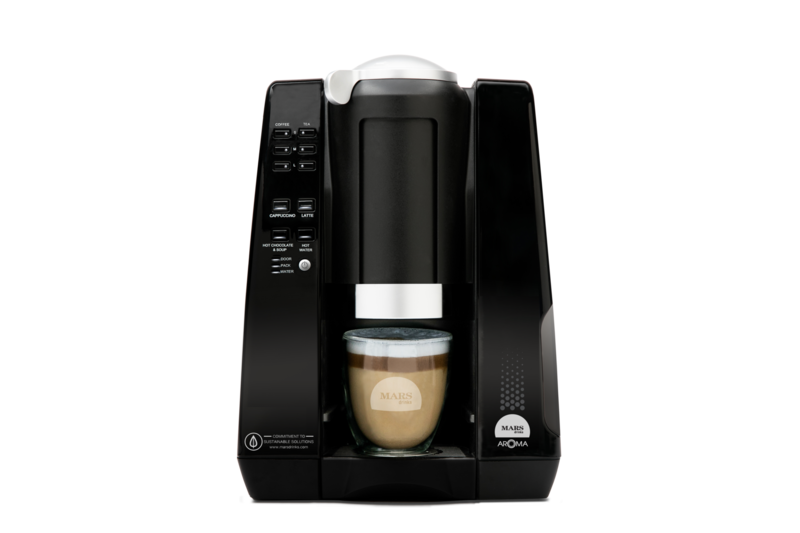 The 60-second brew-time and versatility of the MARS DRINKS FLAVIA AROMA make enjoying cafe-style drinks quick and simple. Plus, innovations like Real Milk Froth Powder create authentic coffee-shop style drinks without the mess of milk. By offering a full range of Mars drinks, you can meet the taste and choice needs for your office by providing over 100 hot drink options. What can the Aroma do for your office? Interested in the Aroma for your office? Contact us.